Pete's Blog & Grille: The Campaign Starts Here! It sounds like it’s already a thing, doesn’t’ it? 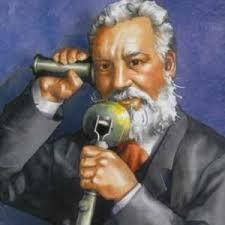 Saint Alexander Graham Bell. What a terrific name for a new Catholic Elementary School. Saint Alexander Graham Bell, the Patron Saint of Social Media. I should mention that Alexander Graham Bell is not really a saint. Yet. We're just starting to work on it. Huena died in 2005. On Valentine’s Day. But this past Wednesday evening, I was at a meeting of the Canadian Society of Magazine Editors and talking to my fellow editors Allan Britnell and D.B. Scott. I mentioned how much better the world is because of things like Facebook and added that my mom always felt Bell should be made a saint. D.B. just sort of lit up at the thought. “So the campaign to canonize Alexander Graham Bell starts now!” he said, and we toasted the notion. And because it was my mom who thought of it, Mother’s Day is the ideal time to get the wheels moving. I’m not sure how to start, it’ll probably involve contacting the Vatican. If anybody has any ideas how to proceed, please send them my way. But back to Huena and Alexander Graham. First let's agree. The telephone has of late indeed morphed into a computer. So when I'm talking "phones" I'm talking Skype and everything else. At heart, it’s all still a phone. And it’s still miraculous. Phones reunite families. They keep parents from freaking out when the kids are late coming home. Or travelling in, like, Cambodia. Phones warn you when bad weather’s coming. Or when a half-drunk uncle is on his way over to visit. Excellent jokes get phoned around. News of really great sales gets passed along. New babies arriving and cousins being sprung from jail. Phones make it possible to phone in sick. If a saint needs a mortal champion—or earthly cheerleader type—I nominate my mom. She excelled at phone. If you could have visited her in the later stages of her life, you would have seen what I’m talking about. Huena had nine brothers and sisters, 10 kids, a heck of a lot of grand and great grandchildren and she stayed in touch with old friends. Even though she was pretty much housebound in the last few years, she never once stopped being a mom, aunt, sister, friend, grandma, nurse, social worker or alibi provider. I wish somebody had video’d Huena when she was doing her phone thing. 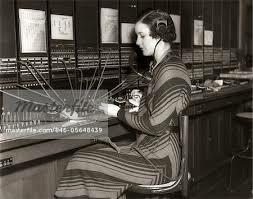 From morning until bedtime, she sat in her rocking chair and played the phone like one of those switchboard operators in an old Charlie Chaplin movie. 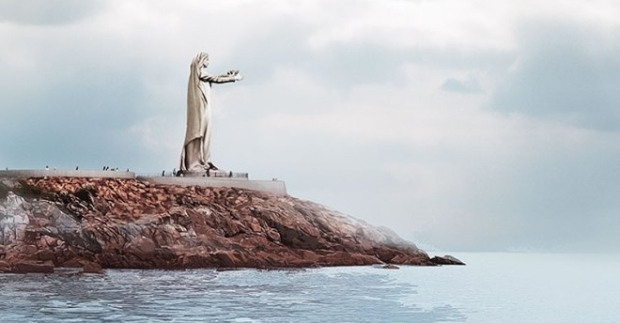 She’d get word about an ailing cousin in Halifax and somehow pass the message to all the relatives who needed to know in Niagara Falls. Then she’d hear about a son’s rent increase in Toronto and after making sure he still had enough to get by she’d pass the news along to a daughter in Little Current, who told her about a five-year-old hockey-playing grandson’s first ever two-minute penalty. If, say, an FLQ bomb went off in downtown Montreal, Huena would know in moments whether her sister’s son Bert was anywhere near the scene and when she found out he was safe she would tell her world about it. We didn’t need CNN we had Huena. If she were still alive she would be on Facebook 24/7. She’d burn up Twitter. InstaGram would be a great Twitter handle for her. Get it? Gram? Never mind. Huena also had a way of sculpting every single story so as to elicit the most joy or least distress to the listener, depending on their needs or her intention. Everything I know about magazine editing I learned from Huena. Thanks to the phone, Huena never missed a thing. And she loathed missing out. She was, after all, a card-carrying party animal. It said so right in the newspaper. “Huena loved parties and God,” her obituary read. I bet she hates being dead. I sure wish she weren’t. Meantime, I’m starting my Saint Alexander Graham Bell campaign. And it just occured to me. If the Pope Francis is going to be handing out sainthoods, I might as nominate Huena Frances while I'm at it. What the hell.